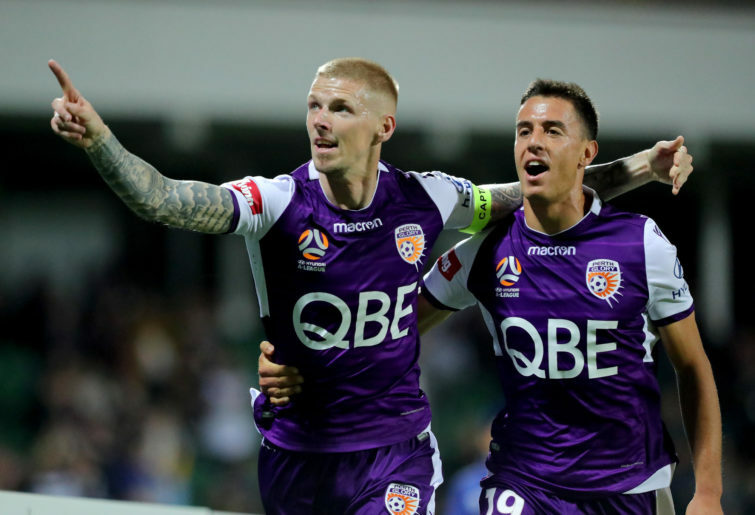 Maybe Andy Keogh is the A-League's greatest import? 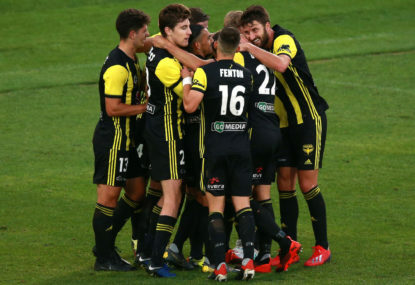 Last week Perth Glory goalkeeper Liam Reddy opened a can of worms by claiming Diego Castro is the A-League’s best ever import. Sure Castro is amazing, but is he at the level of Thomas Broich and Besart Berisha to name just a few? Possibly not, but it’s an interesting argument. 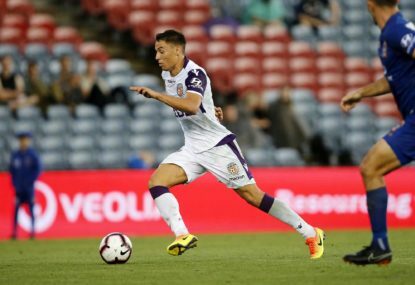 However, is Castro the Perth Glory import we should be shining a light on? Is Castro the Perth Glory import we should be mentioning in the same sentence as Broich and Berisha? Or is it Andy Keogh? Keogh is in A-League career best form leading the line for Tony Popovic’s ladder leaders, scoring 12 goals in 19 matches. Only Sydney FC’s Adam Le Fondre has more. That’s right, he’s in double digits which isn’t at all surprising seeing as he has found the back of the net at least ten times in four of the five seasons he has played. The only player who has reached double digits more than Keogh is the A-League’s all-time greatest goalscorer Besart Berisha. Excluding Kiwis from the list, the only import to score more goals than Keogh’s 52 is again that man Berisha. What’s impressive about the talisman’s knack for finding goals is that he scores most of them from open play. Only six of his goals have come from the penalty spot. The last time he netted from 12 yards was at the back end of the 2015-16 season in a 2-1 win over Newcastle. Capped by Ireland 30 times, the 32-year-old is just as good as when he arrived on Australian shores in the 2014-15 season. He scores headers, he scores with his left foot, scores with his right, scores tap-ins, scores screamers but he is more than just a goal scoring striker. He holds the ball up, bringing others into the play, makes himself a nuisance to defenders winning fouls, making tackles, clearances, and interceptions. Sure he doesn’t have the star power that an Alessandro Del Piero or a Keisuke Honda has. 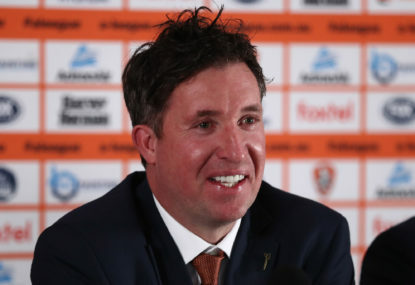 He’s not a world-class player like Ola Toivonen, he hasn’t won the trophies Broich and Berisha has, but something he does have is consistency and longevity. Keogh has been doing his thing in the A-League for the better part of five years. 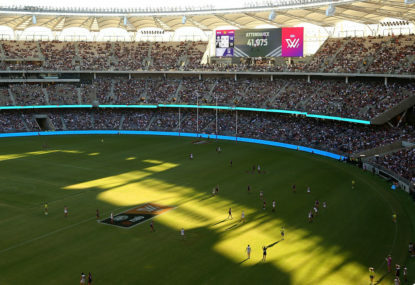 Sure there are a handful of imports that have played more matches than Perth’s number 9, but out of all of those who can you say is better than Andy Keogh? Again, obviously Berisha and Broich. 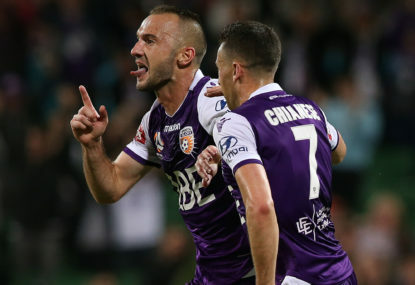 Maybe Diego Castro will be considered as the best import in A-League history if he leads his team to a maiden A-League premiership and championship, and maybe another Johnny Warren Medal, but there certainly is the case that it might just be his teammate Andy Keogh instead. Who knows, maybe if he helps Perth to a maiden double?